Hey, Here goes my first post. I am very happy today as I am celebrating my first anniversary and excited about launching "Delectable Flavours". I am still not sure if I am even a reasonable cook to write a food blog, but very confident on the recipes I present here. Delectable Flavours is all about recipes from Indian Kitchen,easy and simple, which we enjoy eating for a healthy and happy life. Here goes my first post !!! Awesome smell has started spreading around ... yes!! 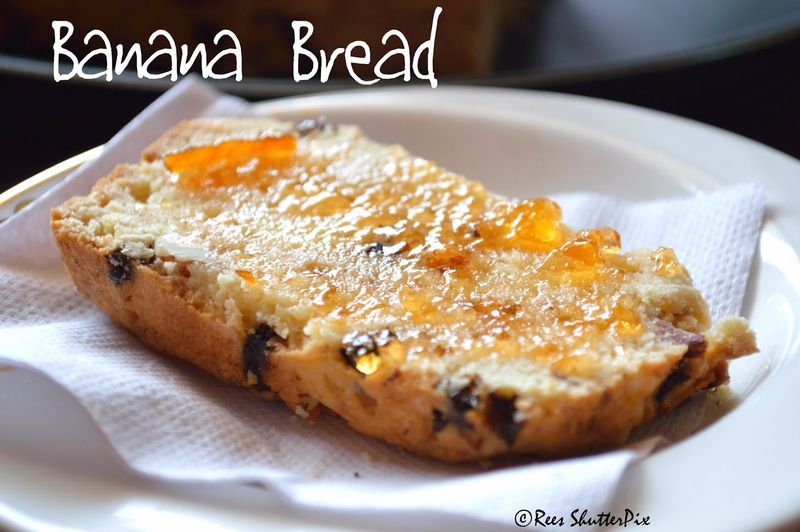 It is the easy and tasty banana bread to be ready for munching in a few minutes. 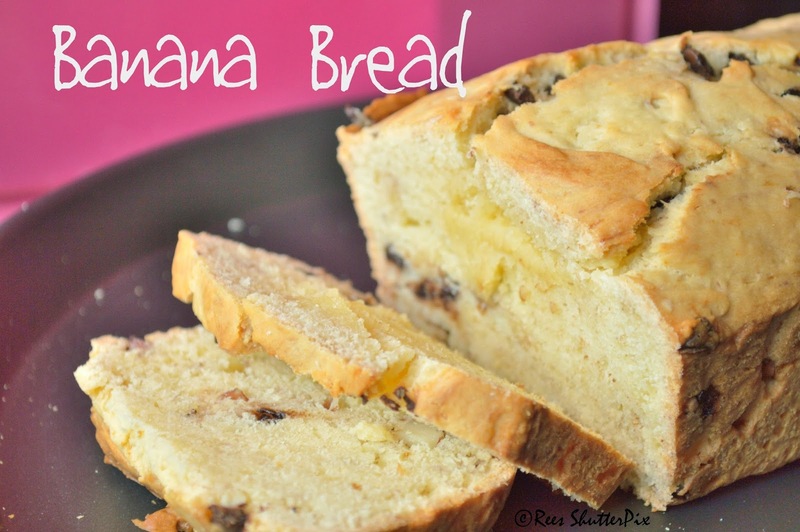 Banana bread has always been a delicious bread snack without having to waste the ripened bananas. It's sweet, cake like quick bread. Best tastes when toasted with butter and jam. More of a loaf like cake. Will anyone be not happy baking a cake bread? Well, I love making it very often. My first try on baking a bread is this. It turned out well. It gave me the head start to explore the world of breads. Take a wide mixing bowl, add the butter (Microwave for 1 minute at 600W, Stir between Or leave it in room temperature to soften), cream it well. Add sugar, combine butter and sugar by whisking or a mixer until its creamy. Crack the eggs and whisk again till its combined. Once the mixture is smooth, add milk and vanilla essence. Add the ripe bananas and smash it with a spoon. I prefer chunky so left few pieces, if you want a smooth one, smash it completely until its smooth. Add the flour, baking powder and salt (if using unsalted butter,else you can skip salt here). 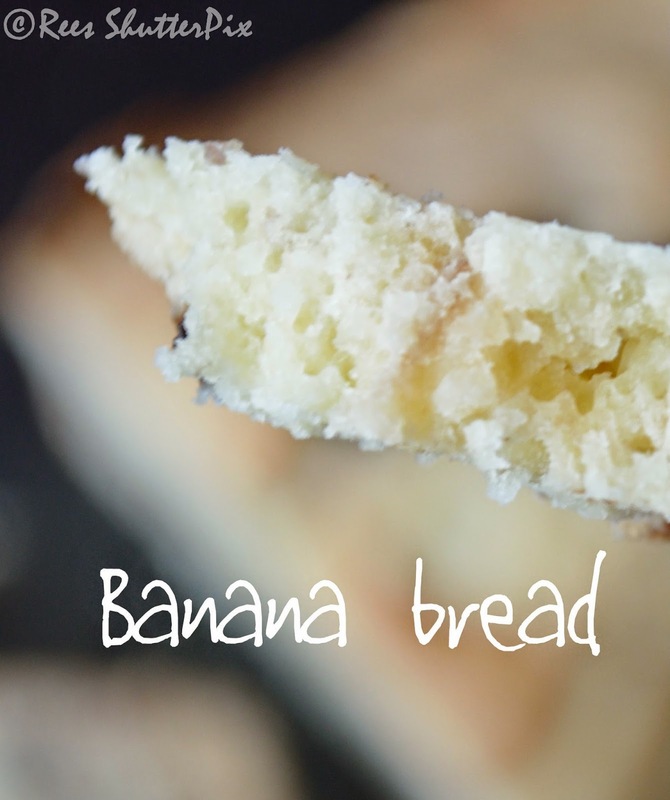 Using spatula, gently fold around until the flour combines with the banana batter. Add the chopped nuts and chocolate chips. Fold them well into the mixture. Batter is ready now. Pre Heat the oven at 180 degree C with the middle rack. Grease the loaf pan with butter. Place butter sheets such that it covers the loaf pan interior completely. Now,grease the top of butter sheets with butter to prevent sticking of bread after baking. Bake for 45-50 minutes at 180 degree C. Check if the top layer has coloured and risen, then insert a tooth pick to see if it comes out clean. If so, the cake is baked, else, keep for another 5 - 10 minutes depending on the texture of cake.Cool it in the pan for 10 minutes, then remove the sheet from sides and cool for another 10 minutes. Serve warm with jam and store in an bread box or airtight container. Instead of using whole all purpose flour, you can swap in wheat or whole grain flour to make it healthy. More nuts and raisins can be added instead of chocolate chips. You can try different variations like walnuts, raisins, cashew. If the batter is too thick, you can add little milk. For greasing, you can replace butter with oil. Best served warm, microwave few seconds before serving. Picture: Slice of banana bread with pineapple spread.